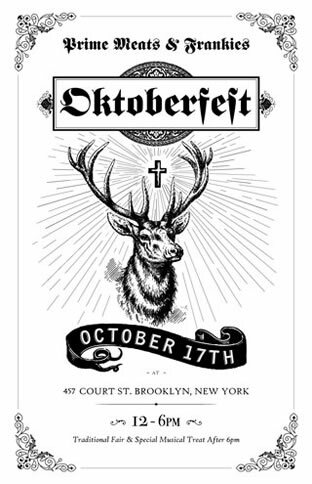 I just got back from Germany and I’m thrilled there're still Oktoberfest happenings going on in NYC so I won’t go through extreme biergarten withdrawal. Join me at Frankies Spuntino on Sunday, October 17, for chefs Frank Falcinelli's and Frank Castronovo's annual Oktoberfest celebration. 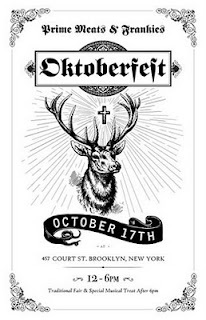 Traditional Bavarian fare from 12-6pm, following by a special musical treat after 6pm. 457 Court Street, Brooklyn. From the people who brought you Frankies and Prime Meats.